What do you do with your lawn chairs when you have a Truck Camper? 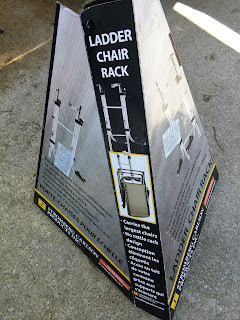 You install a chair holder rack on your outside ladder. Check out our new lawn chair holder we installed on our camper ladder. We have two camping chairs. They are very comfortable but they take up a lot of room. We wanted a way to save some space and keep our chairs secure. 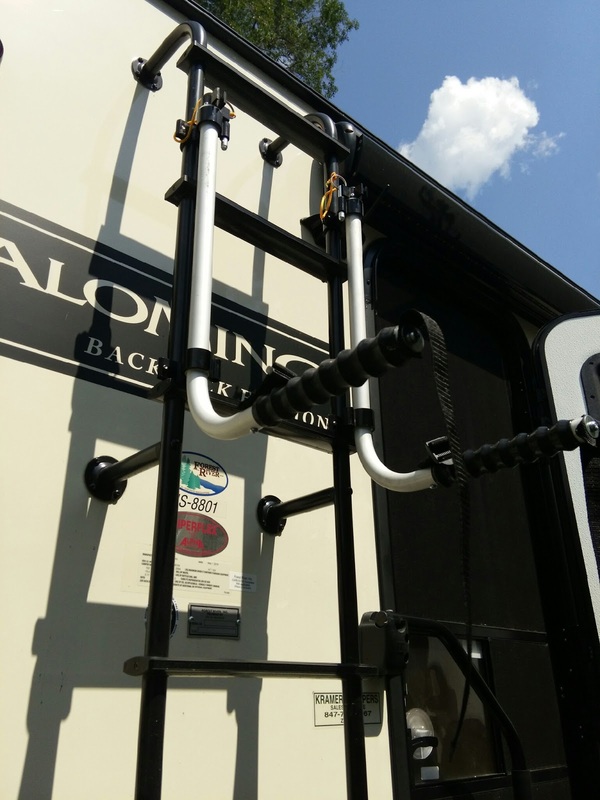 One of the key things about camping in a truck camper is finding ways to save space. 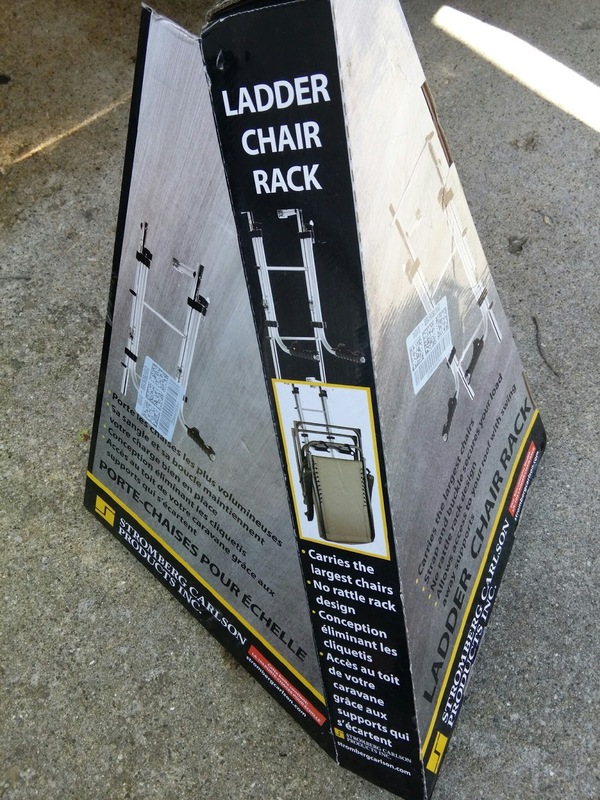 While checking out Amazon I found a Stromberg Carlson Ladder Chair Rack. The rack was not hard to install ....considering we installed it on one of the hottest days of the summer. 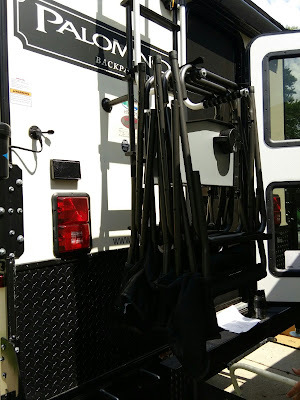 Now our camping chairs are secure and we have saved some much needed space for our trip to Yellowstone. Camping... Oh yes, I used to camp a TON when I was younger and living in Wyoming. Now, I live in LA and camping is non-existent! Now I am nostalgic! ha!